Toyota Genuine Bonnet Protector provides added protection against damage from stones and insects. 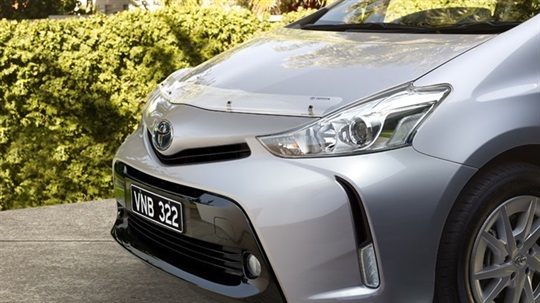 Made from high strength acrylic which is resistant to cracking and UV discolouration, Toyota Genuine Bonnet Protector is easy to remove for cleaning and helps you keep your Prius v looking new. Mounted in rear bumper of your Prius v, these four colour-coded sensors help you gauge clearance when parking. An audible beep helps alert you to obstacles which may be outside your field of vision. 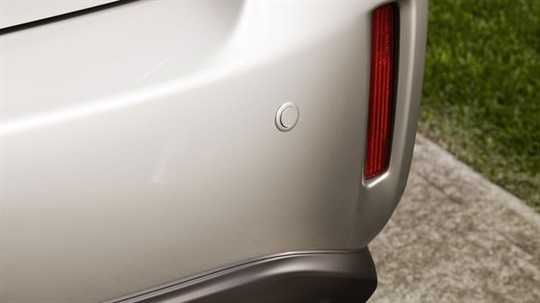 The Toyota Genuine Scuff Guard protects the rear bumper paintwork from scratches and scuffs when you’re loading or unloading the boot. Made from soft but durable neoprene, the Genuine Scuff Guard is unfolded over the rear bumper for use and is secured with Velcro. It sits flat in the boot when not in use and can be removed for cleaning. 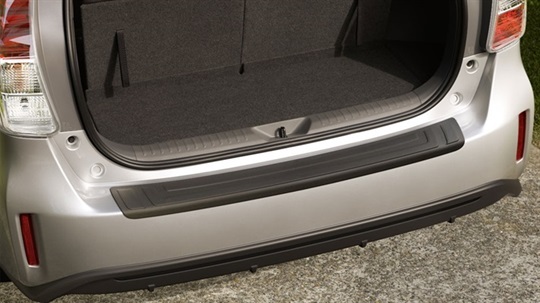 This stylish Rear Bumper Protector protects the surface of your Prius v's bumper from scratches and other damage when you’re loading and unloading the cargo area. 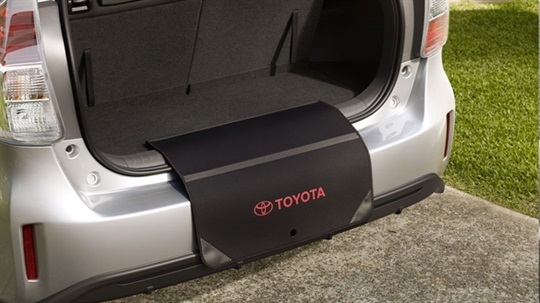 Toyota Genuine Floor Mats are custom-tailored to fit your Prius v and are easy to remove and clean. 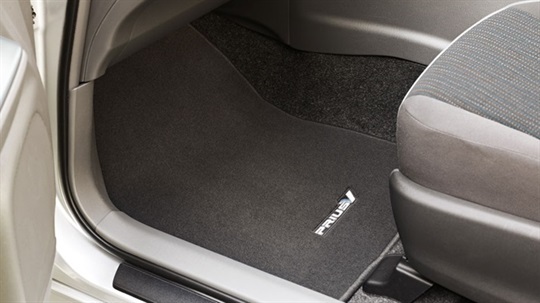 The Carpet Floor Mats are constructed of high-grade polypropylene carpet, are colour-coordinated to your vehicle’s interior and include an embroidered Prius v logo. Positive retention clips and a non-slip backing help keep the mats in position, protecting your carpet from premature wear and stains. [P12] Some Toyota Genuine Accessories are not applicable to all models/grades. Please also consider the mass of your load to ensure you will not exceed the maximum allowable individual axle capacity, Gross Vehicle Mass and/or Gross Combined Mass of the vehicle. Refer to the Accessories brochure available from your Sydney City Toyota salesperson for details on warranty and details on vehicle payload, to help determine which Accessories are suitable for your vehicle. Pictured Accessories are sold separately. Accessory colours shown may vary from actual colour due to the printing process.